Iraq is blessed with vast reserves of oil and natural gas, and is one of the most promising, still largely undeveloped sources of hydrocarbon resources in the world. After decades of underinvestment due to conflict and sanctions, the importance of oil is not only limited to its importance in developing Iraq but exceeds that to the role which it can play on the level of the international oil market for the big reserves which can be reinforced in the future because of Iraq’s being one of the most responding countries to the increase demand of energy and it is expected for Iraq to be the second largest international resource for the crude oil, this sector contributed to the GDP with the fixed prices by 50% during the year 2012 while the growth rate in the GDP for the period 2009-2011 regarding this sector is 6,6%. 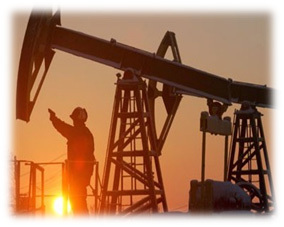 Iraq is actively seeking international investment and expertise to help in the development of its oil and gas sectors. 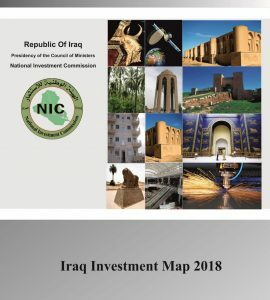 From efforts to harness associated gas from southern oil fields to the launching and negotiation of Iraq’s first post-war oil and gas bid rounds, Iraq has begun the process of substantial reengagement with investors from around the world. 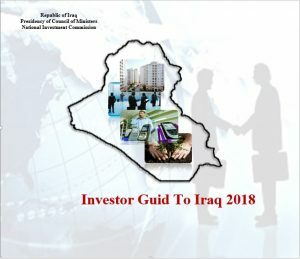 Its worth mentioning that the Oil Sector in Iraq has received the a lot of attention of the federal government which resulted in developing its investment oppurtunities in addition to the announcement of the four bidding rounds , as mentioned above, these oppurtunities has enabled reputable international companies to enter this field. 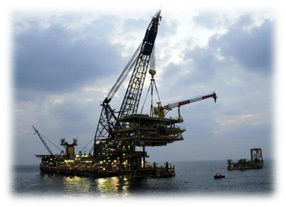 Iraq has signed contracts in 2010 and 2011 with international companies to develop its oil fields within the first and second biddings rounds and to increase the production level to reach (11) million barrels perday in the next six years and to (12) million barrels perday upon adding the quantities resulted from other fields. most of these contracts focused on developing major oil fields in south of Iraq, in addition to that the third bidding round announcement was released to develop three gas fields which are Akaz in Rmamdi Governorate, Mansouriyah in Diyala Governorate and Seebah in Basra governorate (1). On the other side, its more likely that the oil and gas industry will continue to attract foreign business activites in the near future and that Iraq has a wide range of untapped oil and gas fields which requires a large number of investments to develop these fields. There are 115 billion barrels of proven reserves in Iraq, with experts estimating that there may be an additional 45 to 215 billion barrels of probable and possible reserves. Iraq’s 115 billion barrels of proven oil reserves are found in 80 fields, of which only 17 have been significantly developed. Approximately 75% of the proven reserves are concentrated in several super-giant fields in the southeastern part of the country near the borders with Kuwait and Iran, with an additional 20% located in the northern part of the country near Kirkuk. Iraq has an extensive, 4,350 mile-long pipeline infrastructure that is critical for exports of oil and, to a lesser extent, gas. Three primary arteries link to Saudi Arabia, Turkey, and Syria, and a fourth runs internally, called the Strategic Line. In its present condition, Iraq’s export infrastructure can handle about 2.5 million barrels per day. Of this, roughly three-quarters is exported from the Basra oil terminal in the south and the majority of the remainder via the Northern Pipeline leading from Kirkuk to the Turkish port of Ceyhan. 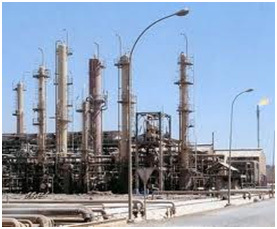 As Iraq is developing its infrastructure at the present time, and heading towards expanding its productive operations in oil field, and to attract investments in production, disturbution and export fields for oil sector in order to imrove the current situation of oil sector as well as it will help to attract investments in other fields such as export pipelines particulaory in Basra Port, and the export pipelines from Kirkuk Governorate to Jihan Turkish Port. There is a wide range of needs in the south of Iraq which includes the neeed to establish a new pipline to link the resources extracted from oil wells to refinaries and to establish storage facilities in addition to expanding the ports. 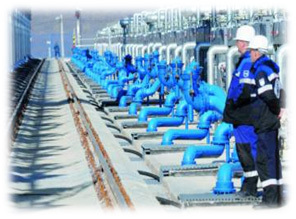 A number of studies were conducted to develop infrastructure which would enable Iraq to gain its position as a source for natural gas and this requires to construct an expanded infrastructure for gas sector in order to enable Iraq to supply the gas piplines heading to Turkey and therefore it will supply major European markets.